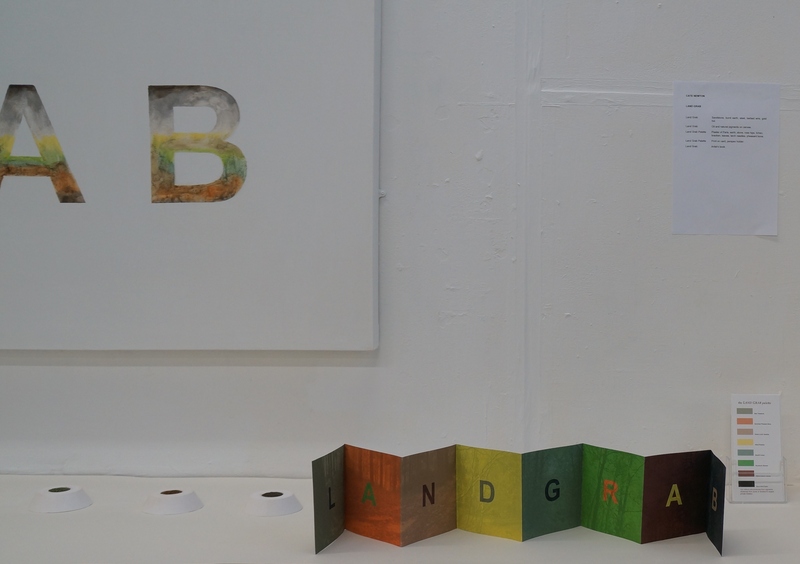 This project addressed the question of inequitable land ownership in Scotland. 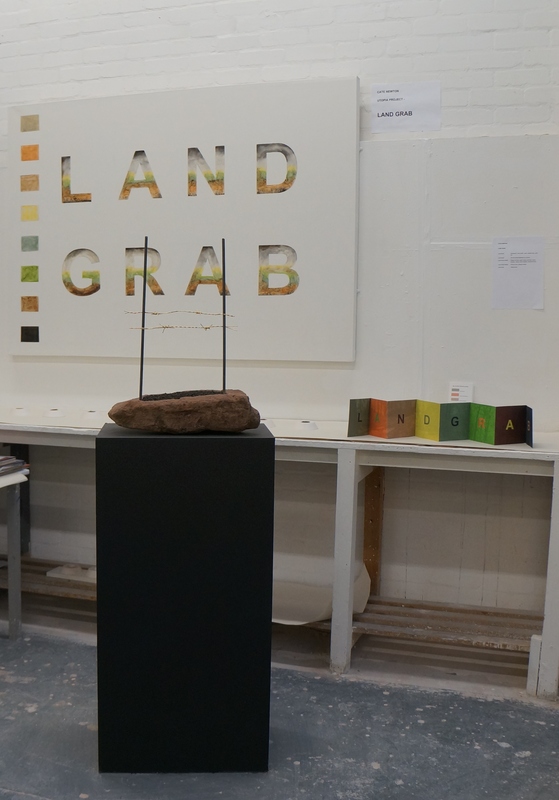 Some of Scotland’s largest privately-owned estates were visited and the words LAND GRAB were left in the landscape using ephemeral materials such as leaves and fallen branches. 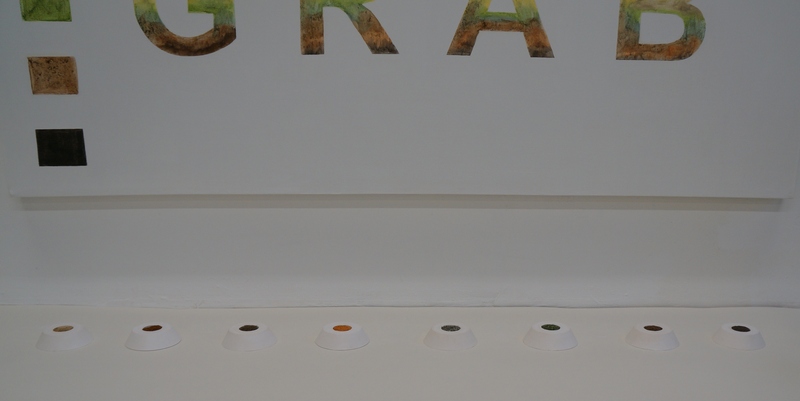 Earth, stones, lichen and other materials were removed from the selected estates and were converted into pigments in the studio. 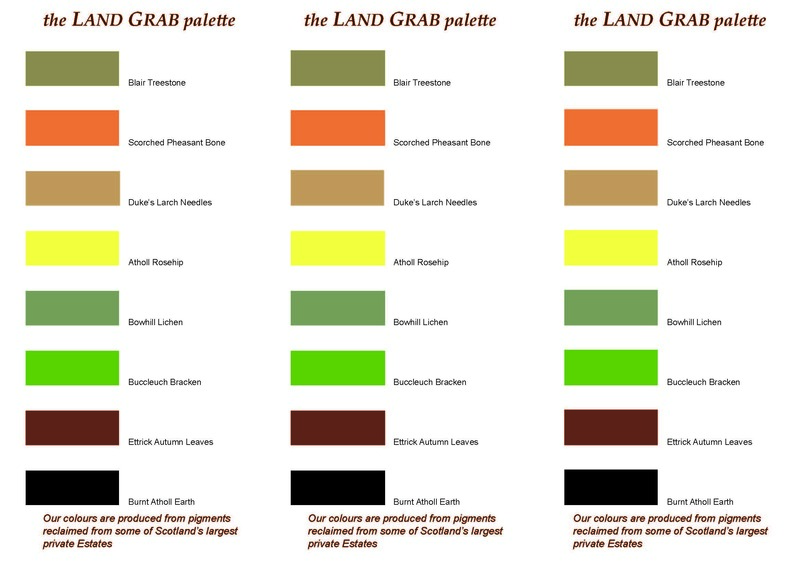 From these pigments I created the Land Grab Palette and a large painting. 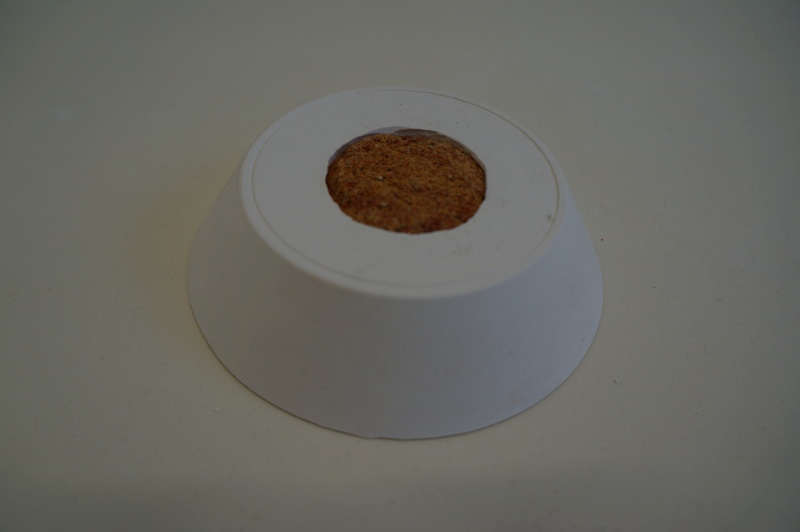 Small plaster sculptures were made to hold the pigments. 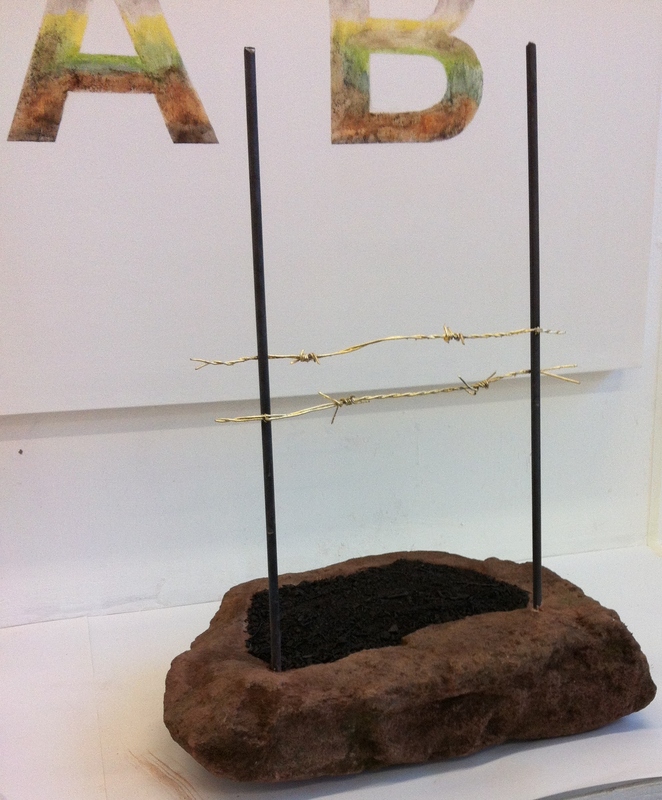 An artist’s book and evocative sculpture completed the Land Grab theme.